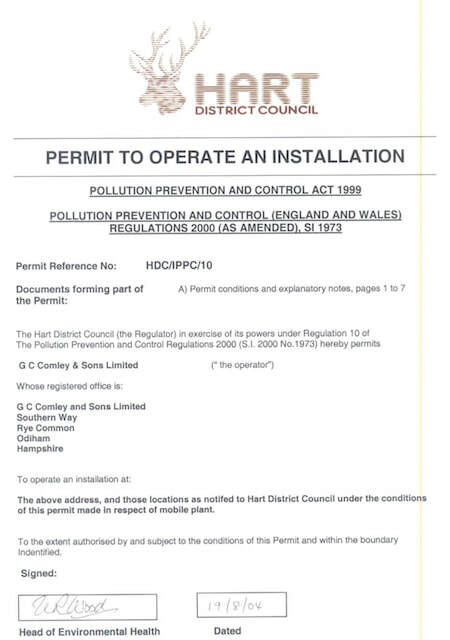 Operatives on site will hold a minimum of a CCDO card and would have completed a CITB Touch Screen Health, Safety & Environmental Test, an Asbestos Awareness Course and a Demolition Site Safety Awareness Course. 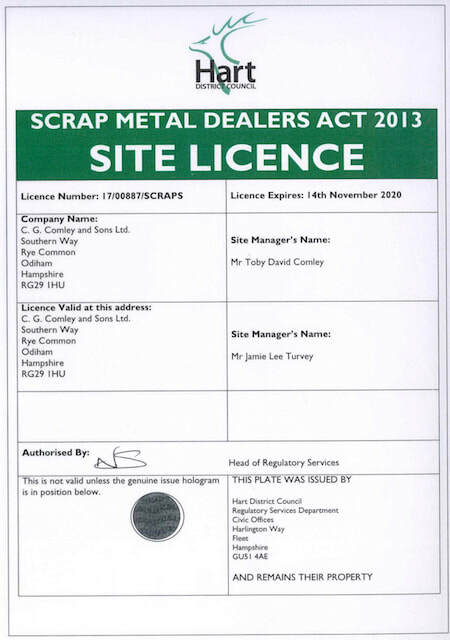 Plant Operatives will also hold CPCS Demolition Plant or Crusher Operative cards, Site Supervisors will hold CCDO Demolition Supervisor cards. 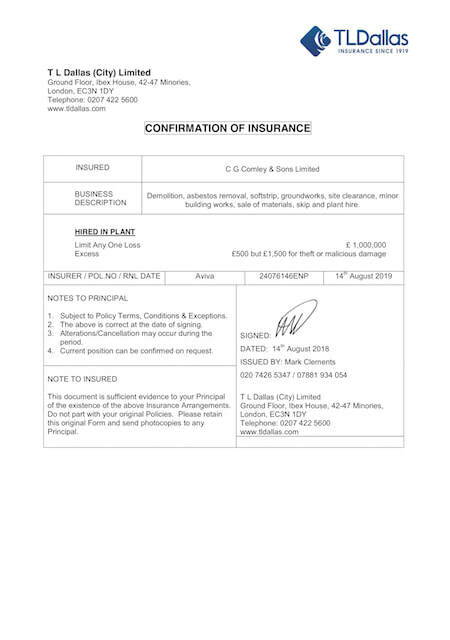 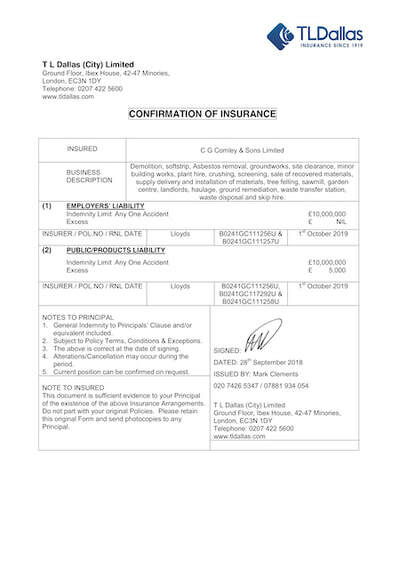 Copies of Operatives qualifications are available from the Comley Demolition office on request (please note that these are PDF files that can be either emailed or sent via an FTP service such as ‘Dropbox’.). 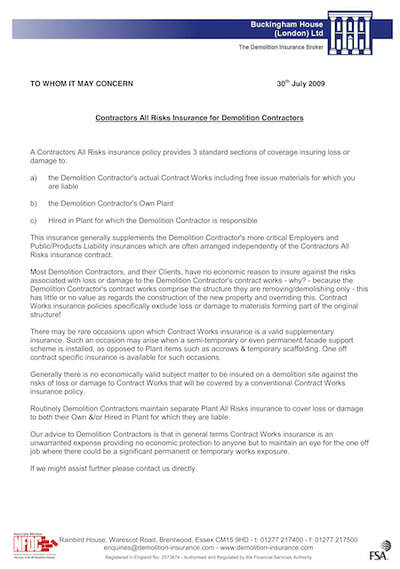 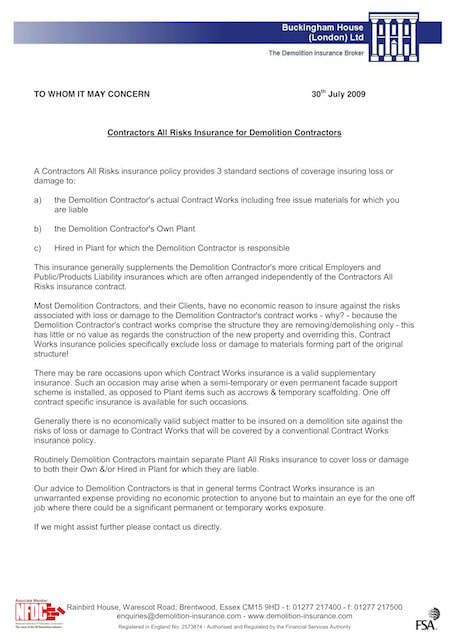 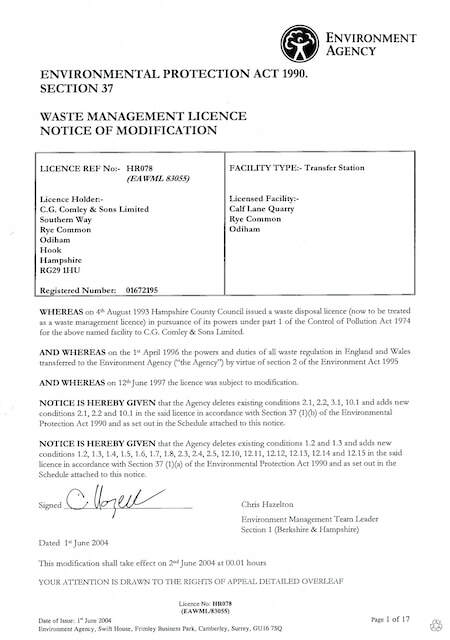 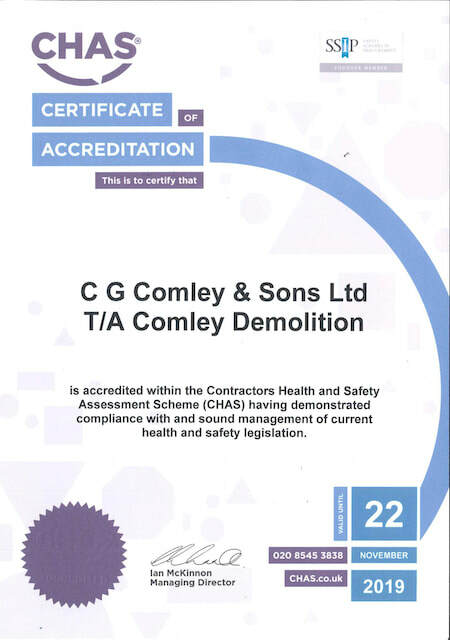 All personnel will adhere strictly to the Codes of Practice for Demolition BS6187:2011. 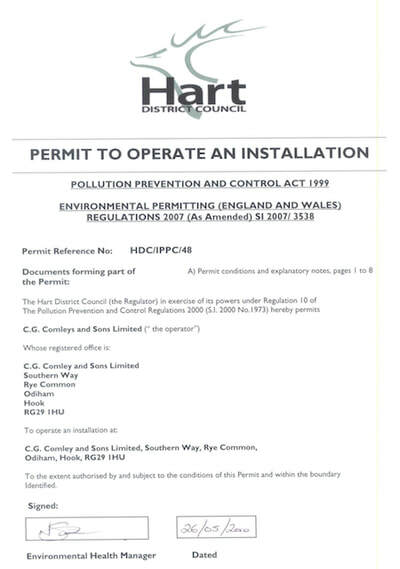 Site Induction will be carried out prior to commencement of the project and ongoing Tool Box talks will be given by the Site Supervisor. 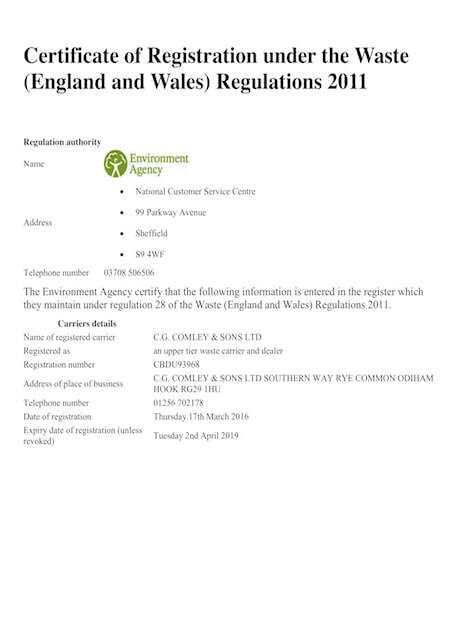 ​If any information or documentation is required, please do not hesitate to contact us and we will endeavour to answer any questions you may have. 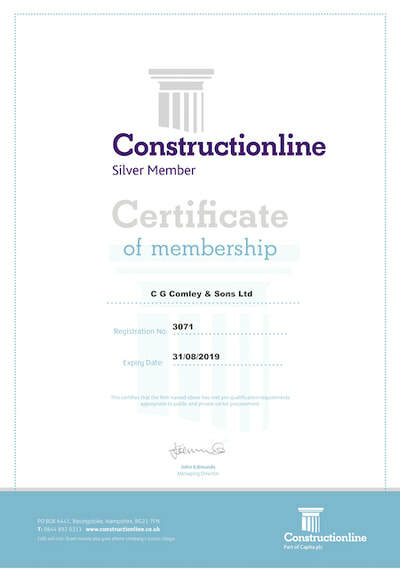 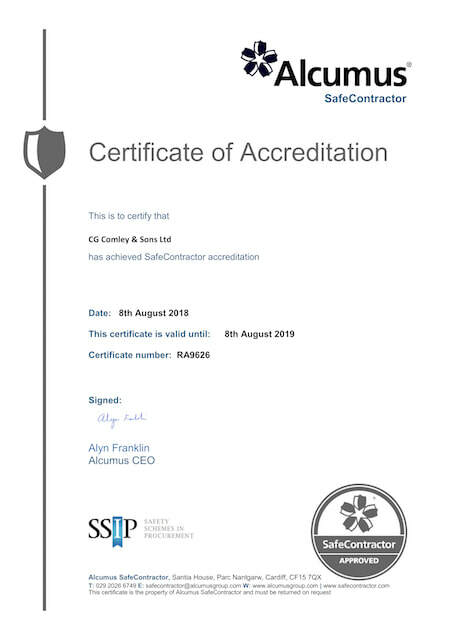 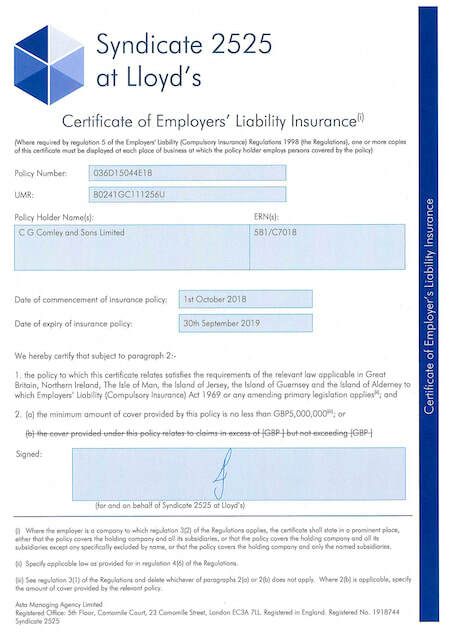 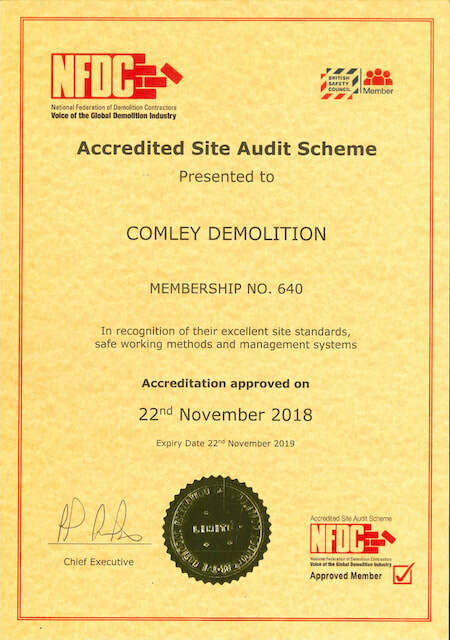 We are SSIP accredited by CHAS (Contractors Health & Safety Assessment Scheme), SAFEcontractor and SMAS Worksafe, we also hold the Accredited Site Audit Scheme issued by the NFDC (National Federation of Demolition Contractors) , Constructionline and are registered on Builder's Profile. 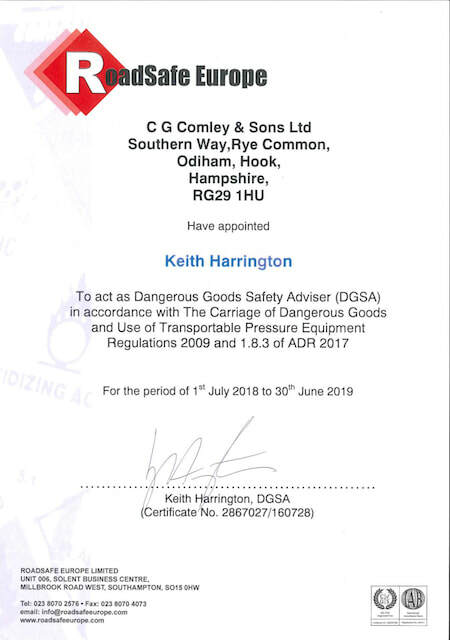 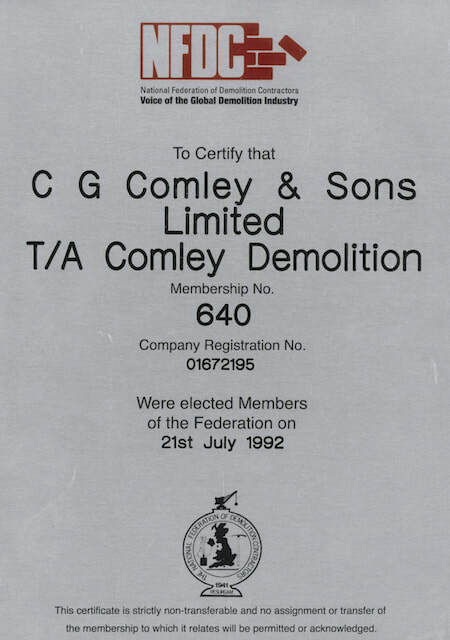 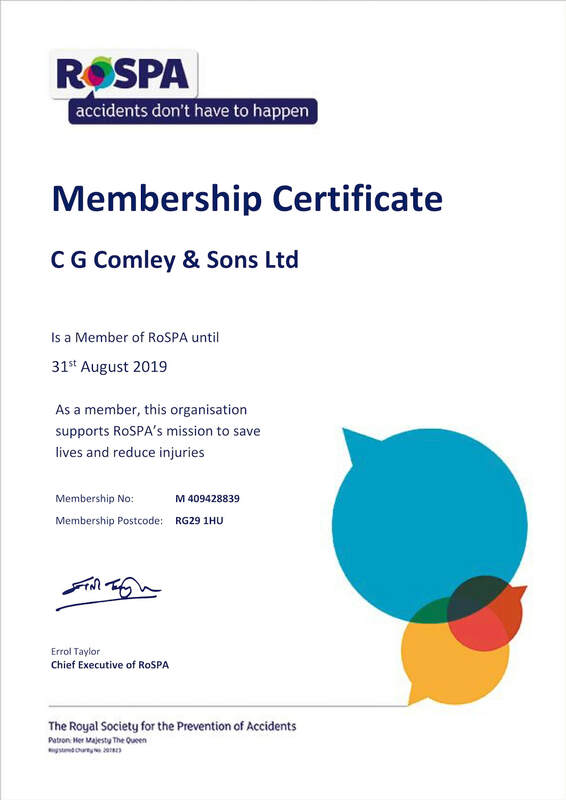 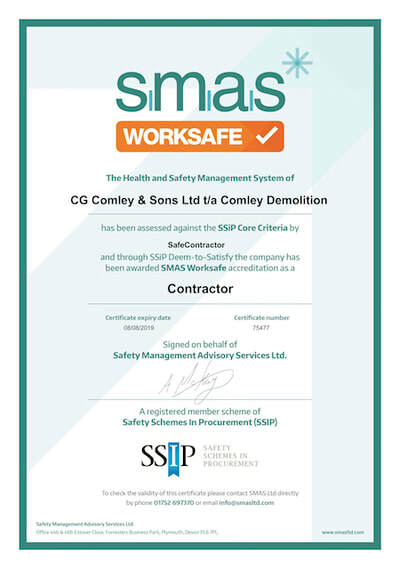 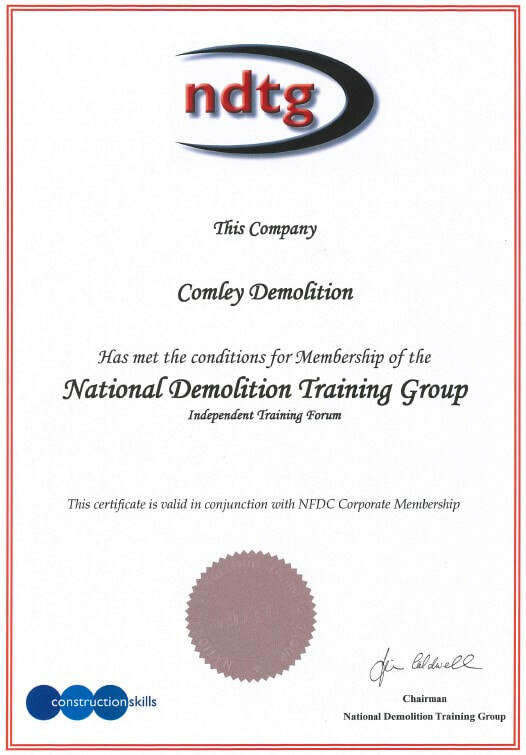 Comley Demolition are a member of the National Federation of Demolition Contractors and the National Demolition Training Group and also the Royal Society for the Prevention of Accidents (RoSPA). 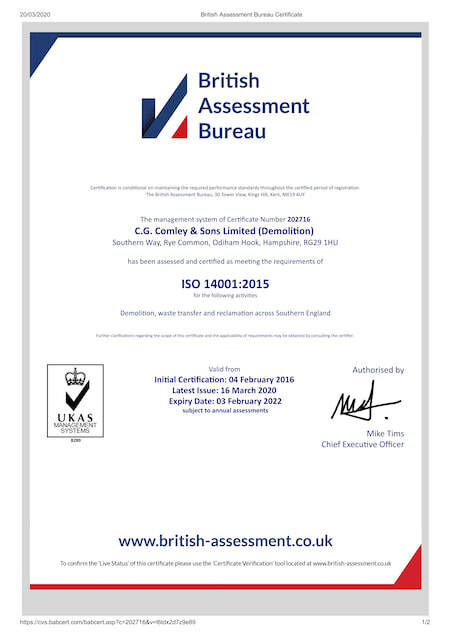 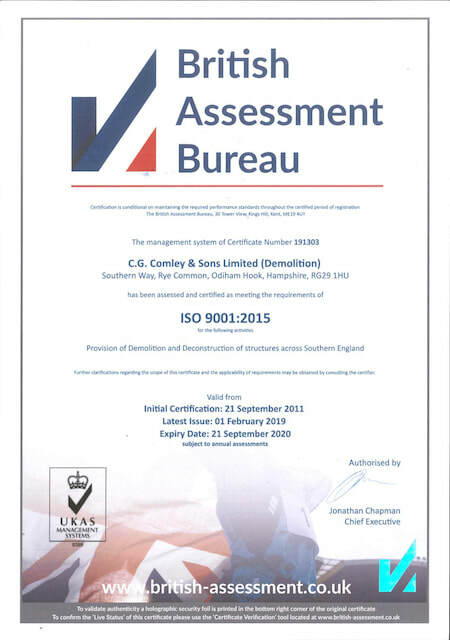 We also hold ISO 9001:2008 for Quality Management & 14001:2015 for Environmental Management.